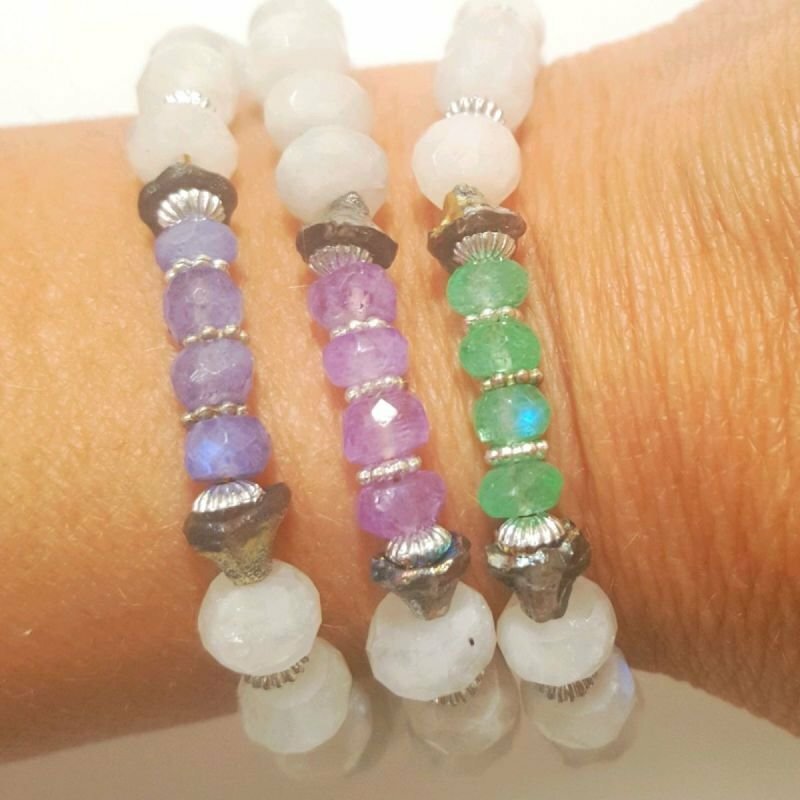 These are really pretty little bracelets, they have been made with a mix of natural moonstone beads between silver toned spacer beads, and the focal beads are coloured moonstone! the coloured moonstones are encased between some pretty iredescent czech glass tulip beads. Because they are natural moonstone they have an amazing blue flash to them. The bracelets each measure approximately 6.5"
There is a choice of 3 bracelets, lilac, purple and green, you will recieve one bracelet.